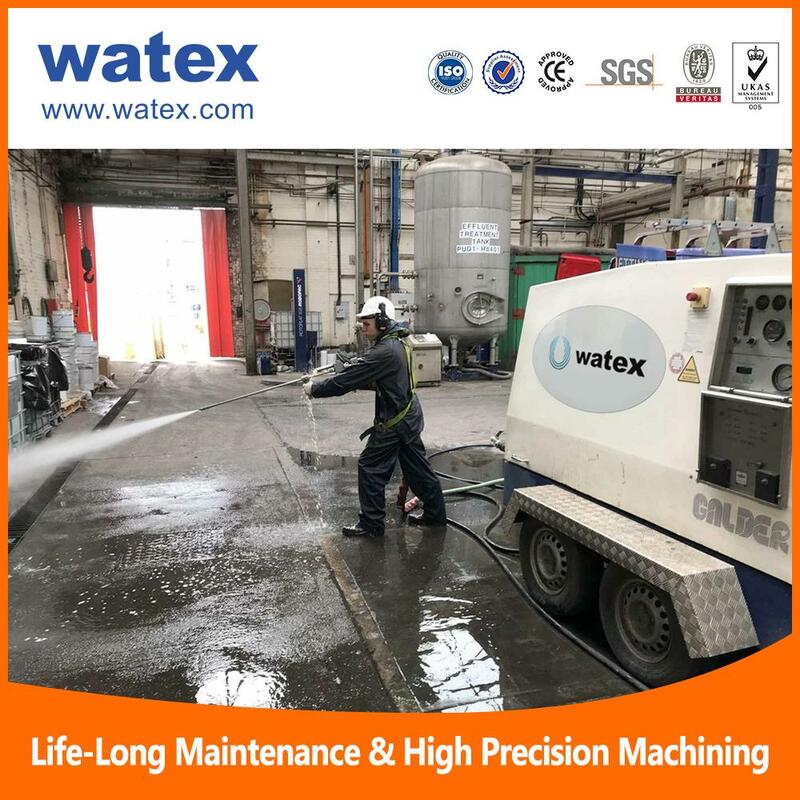 D-stream high pressure water blasting machine is fitted with heavy-duty triple ceramic plunger pumps, unload valves and safety burst discs or safety valves. 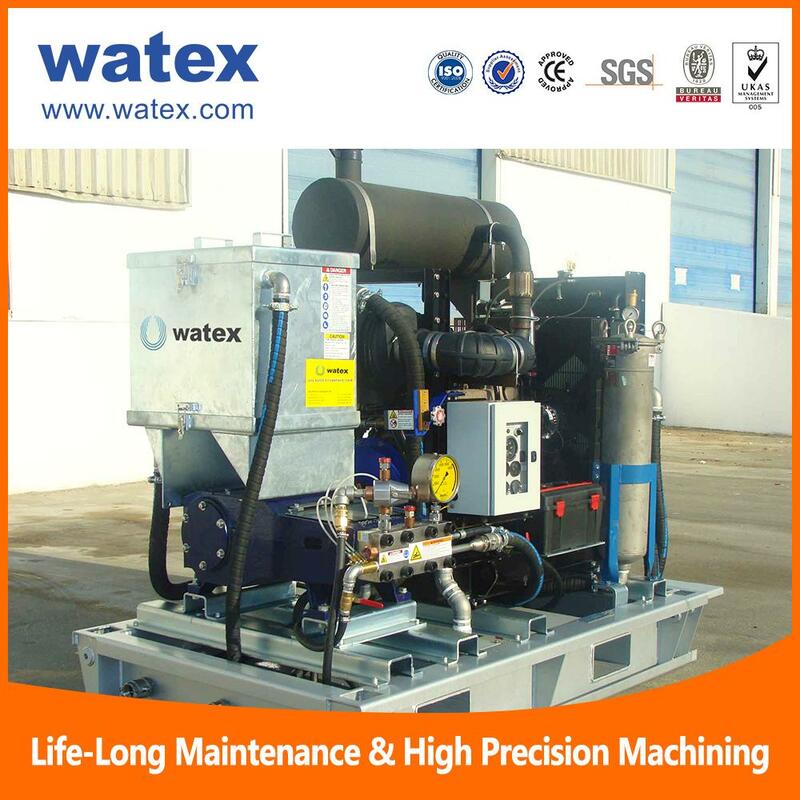 The electric motors are heavy duty, low revising which results in less wear to the pump and lower maintenance costs. 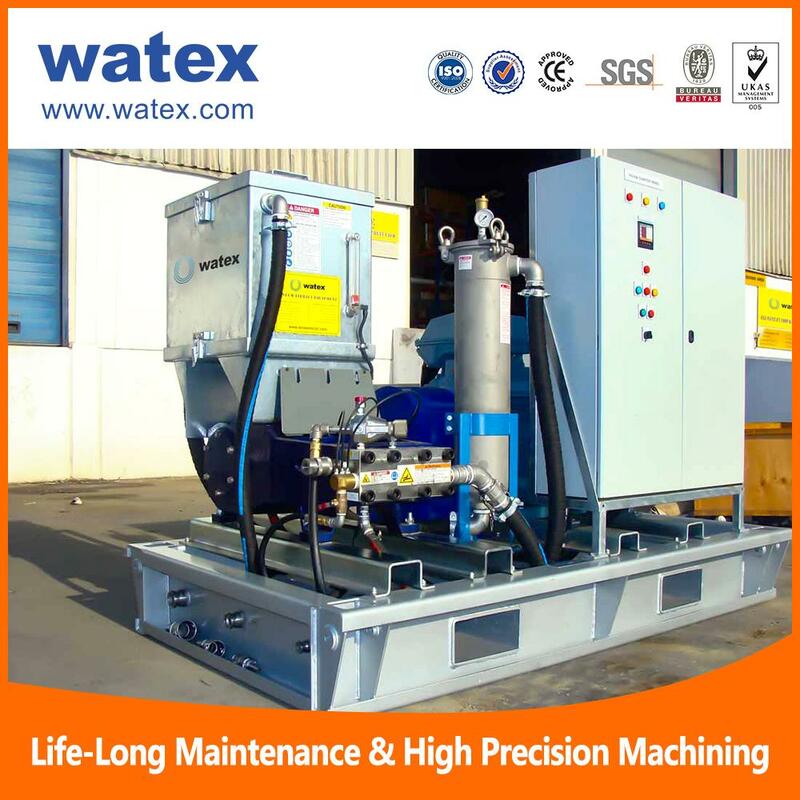 Pressure is fully adjustable, and chemical injectors are fitted to all units. 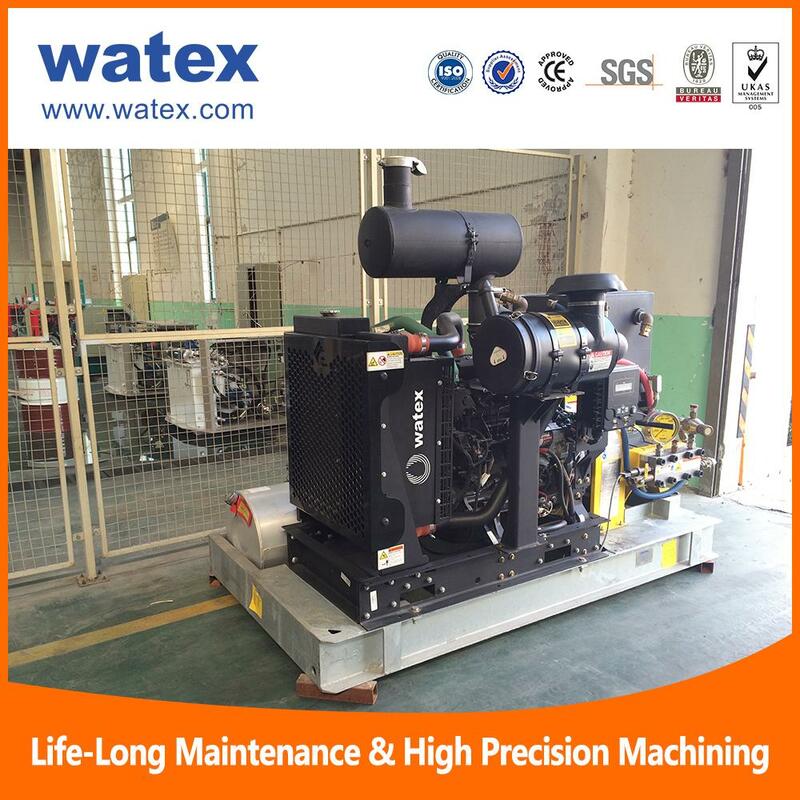 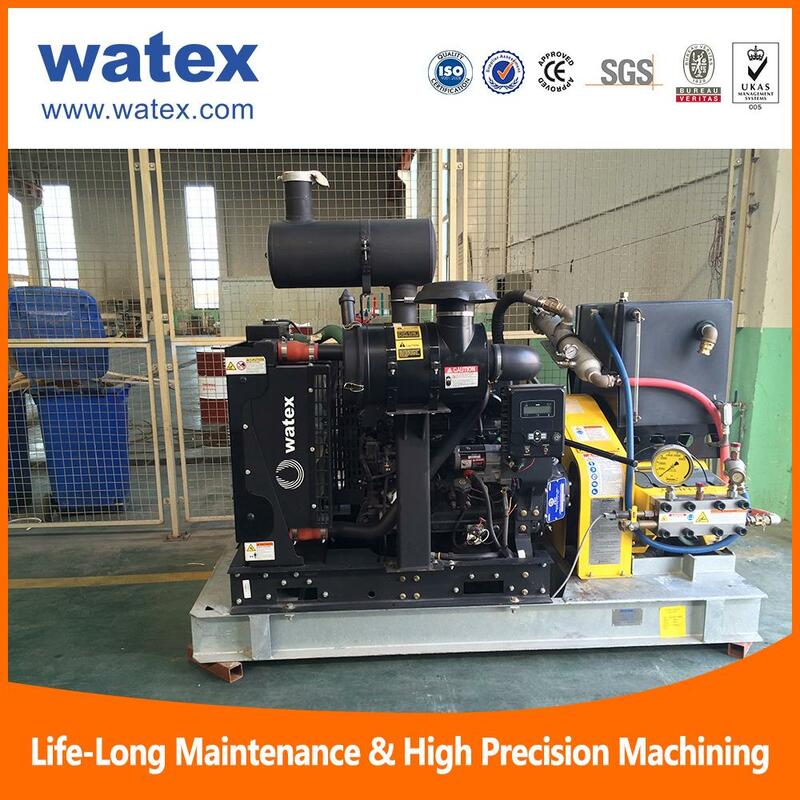 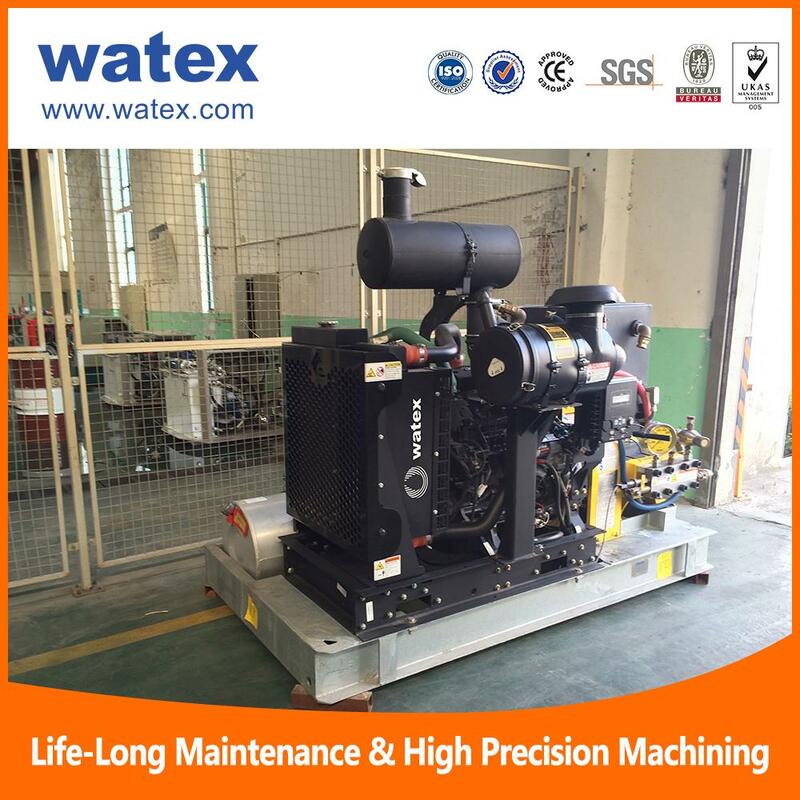 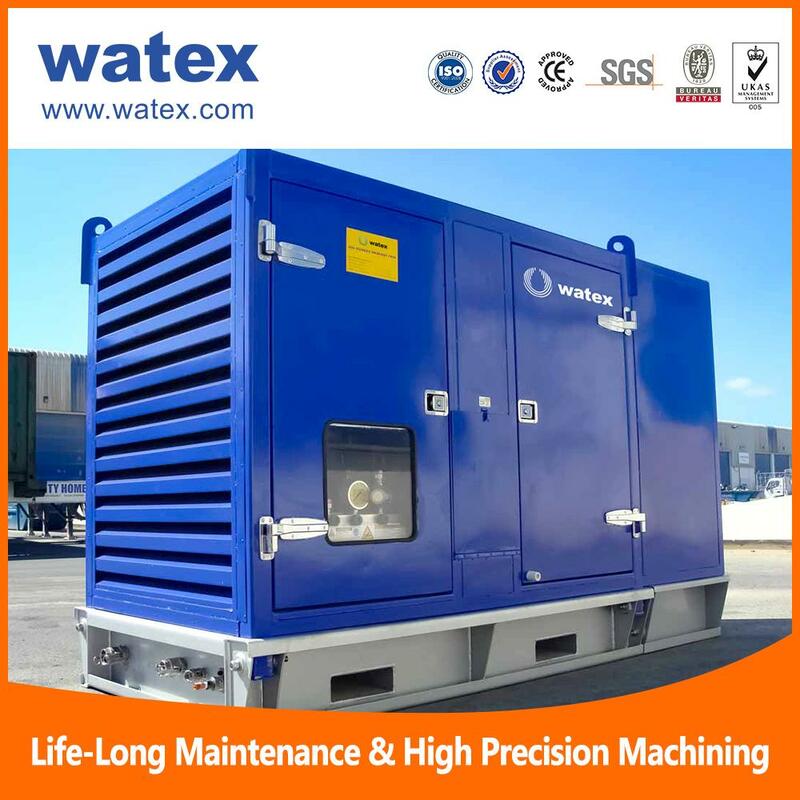 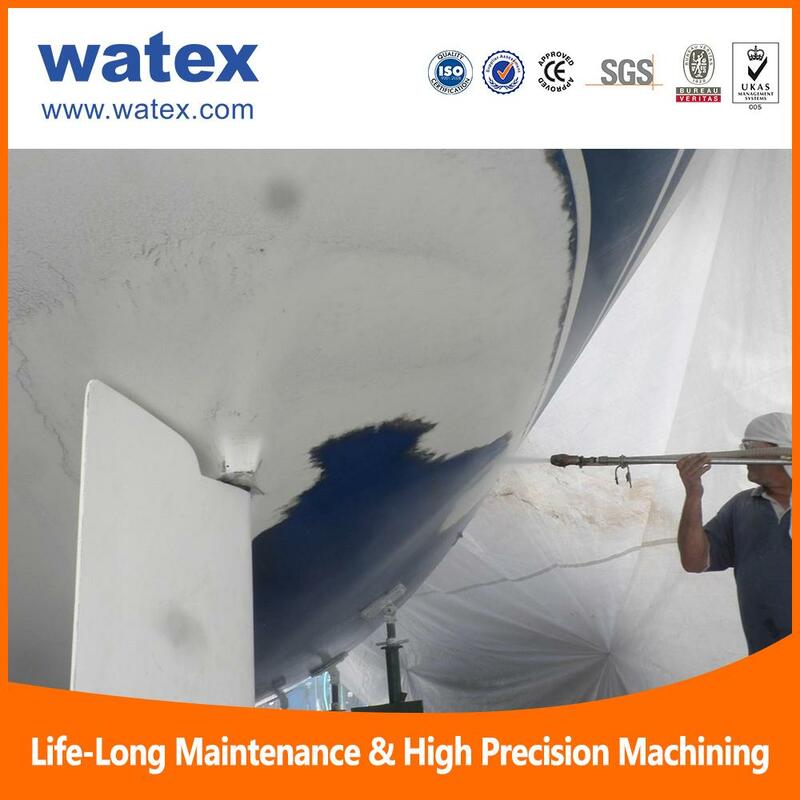 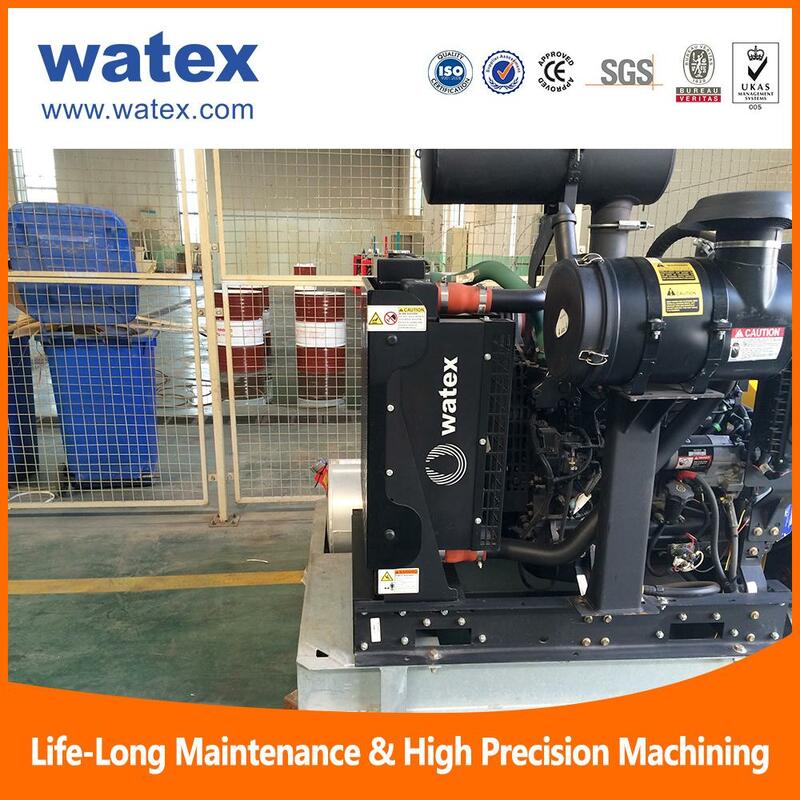 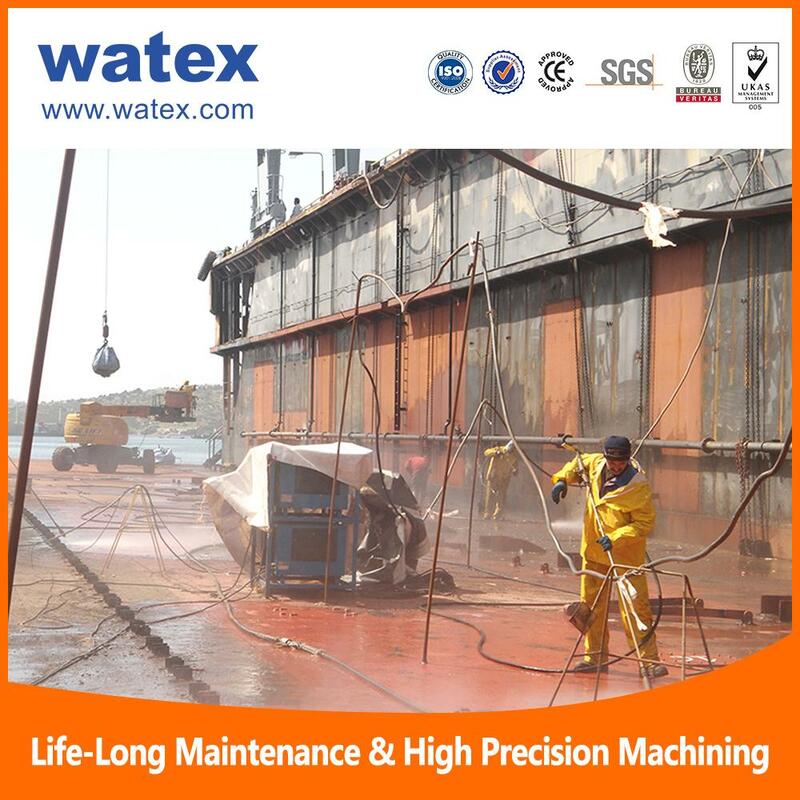 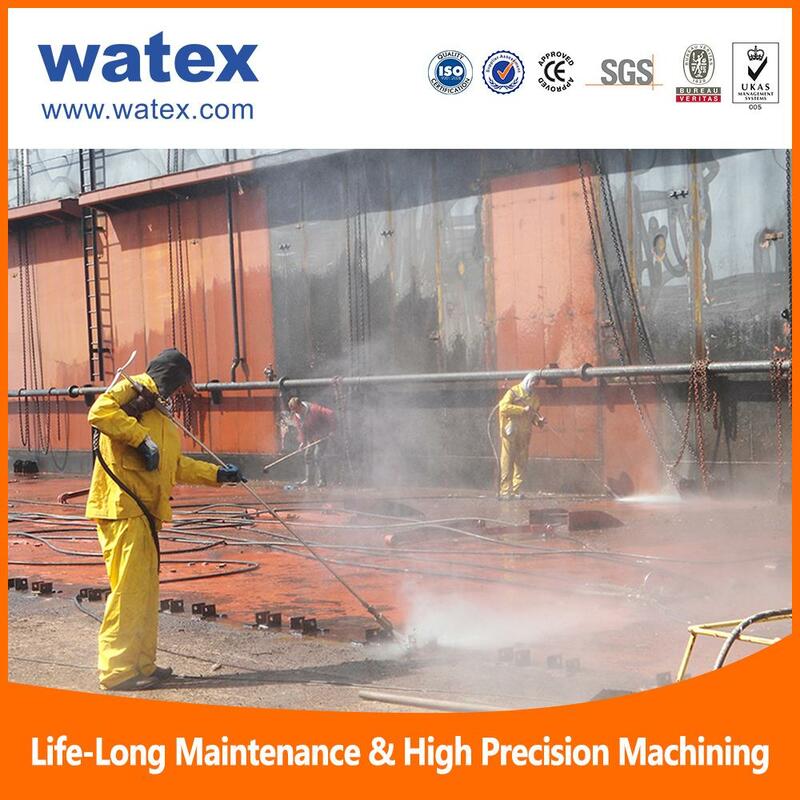 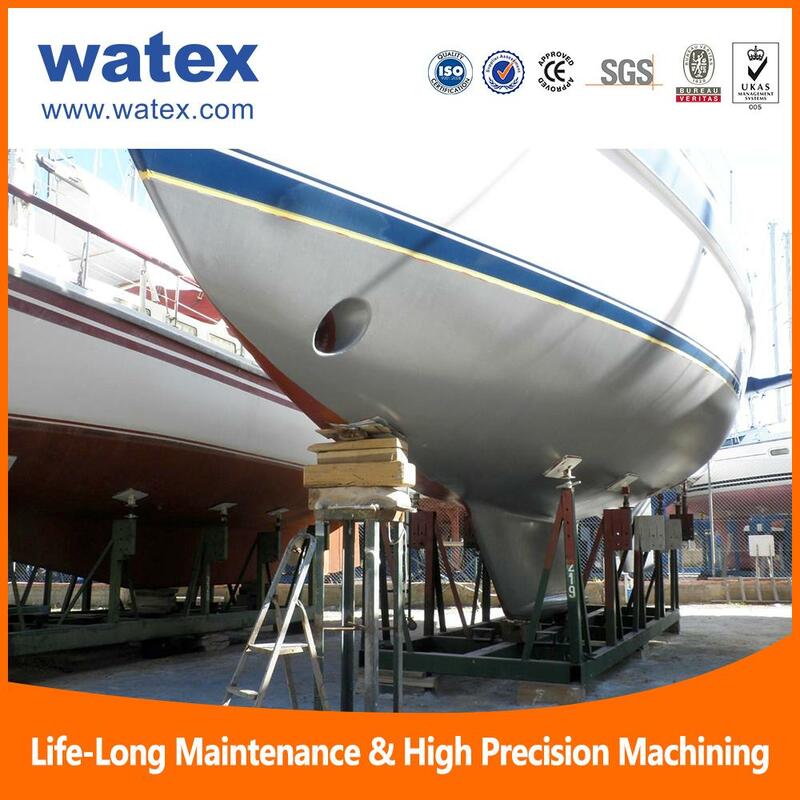 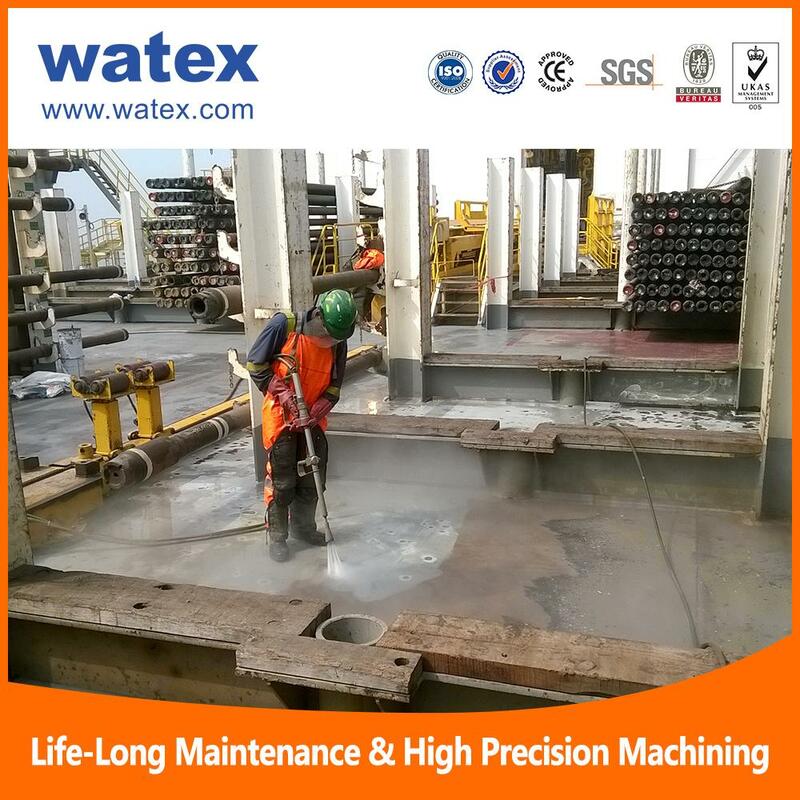 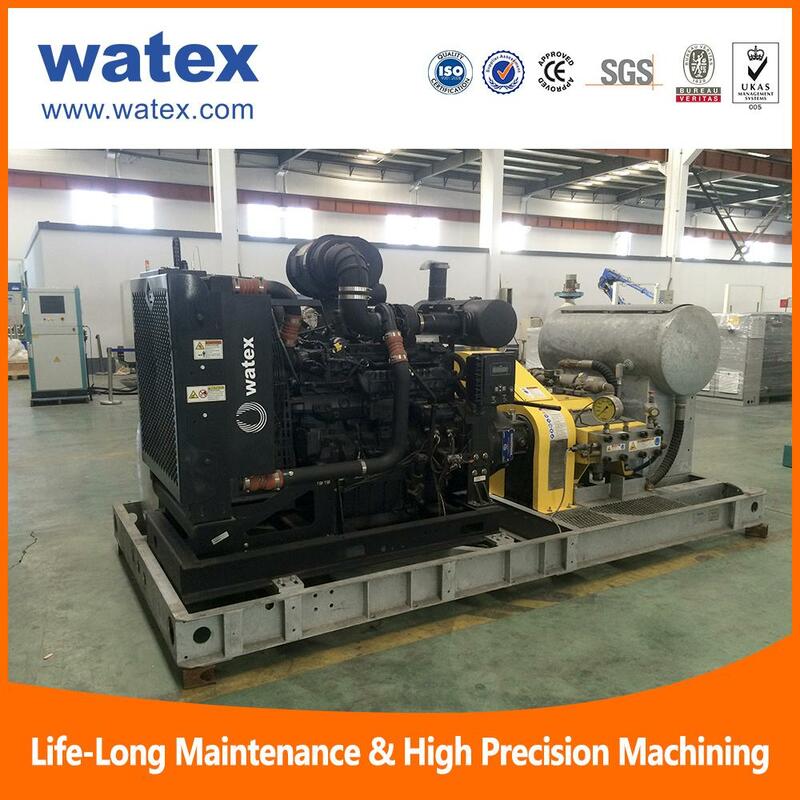 Watex D-stream units are designed for maximum reliability and simplicity, resulting in lower maintenance costs, less downtime, and greater productivity. 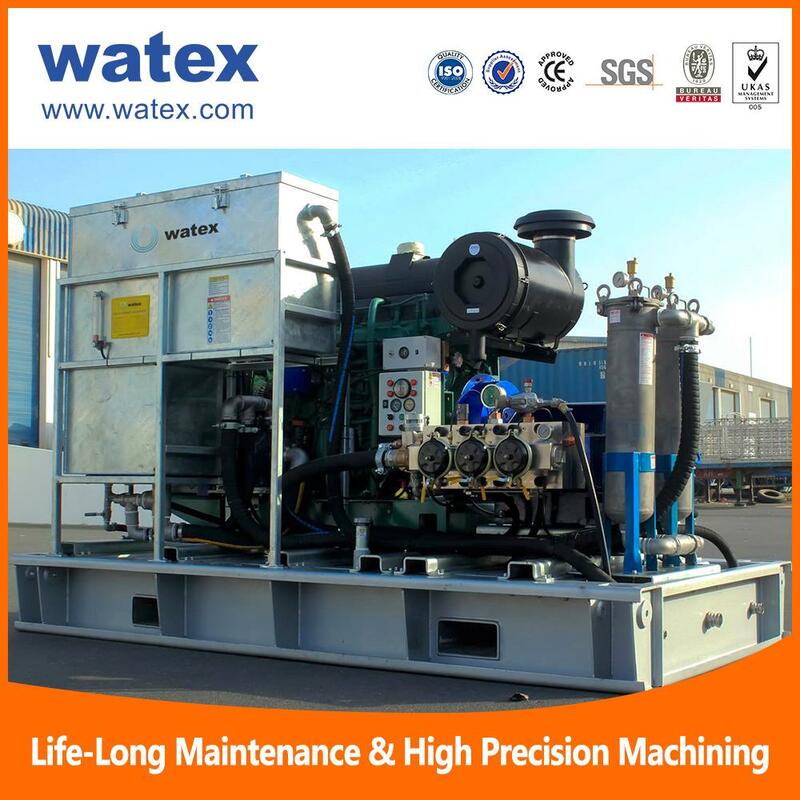 Our diesel water washer units are available in a wide selection of standard models and options. 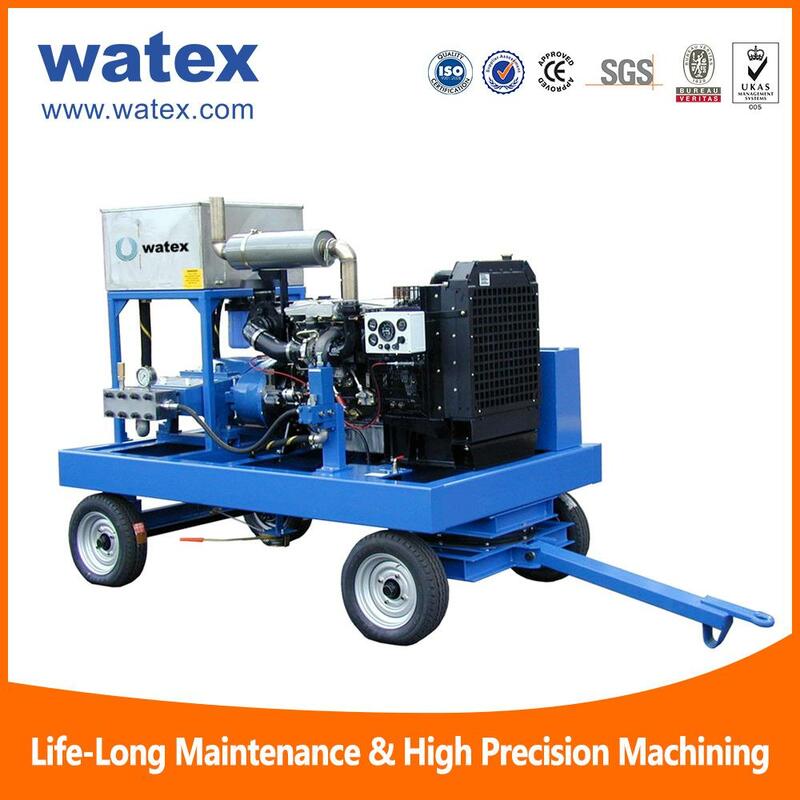 This innovative line of high pressure water jet blasting units are designed around the model E-stream pump. 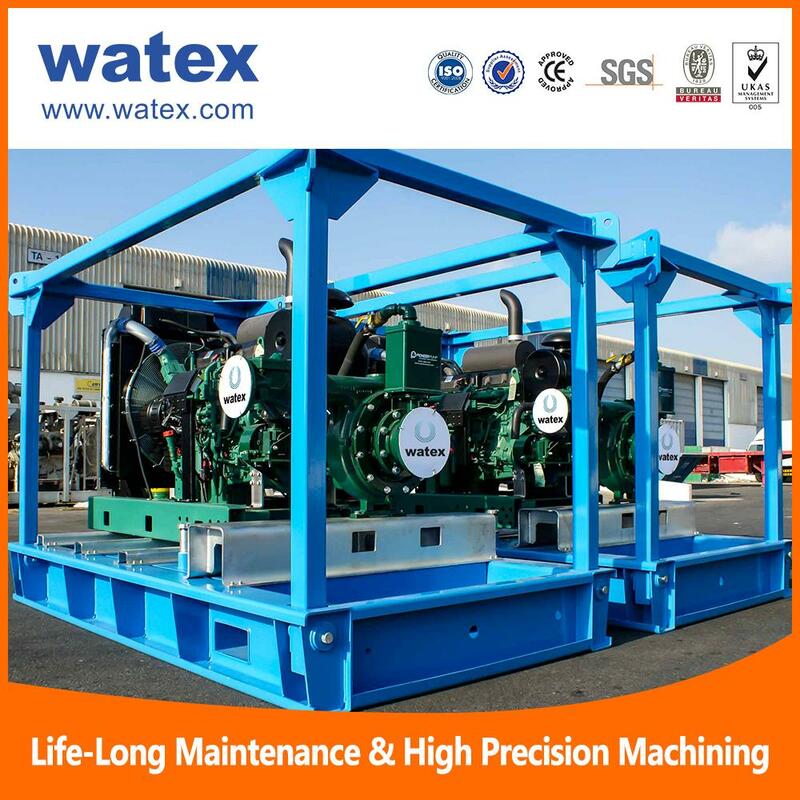 This pump, with its quick-change, in-line fluid end design, has fewer parts for increased operating efficiency and simpler maintenance. 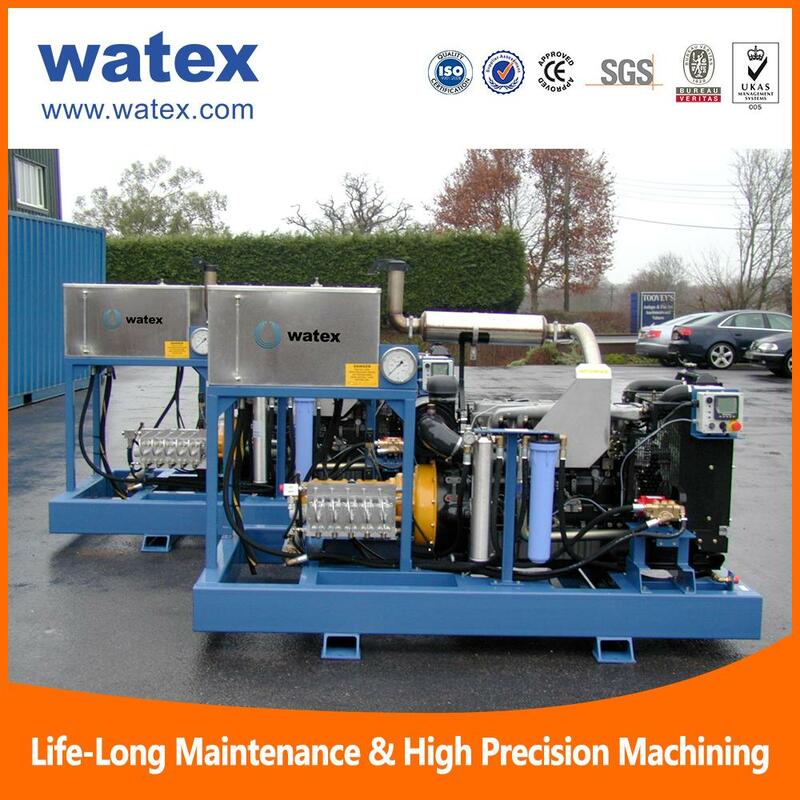 And, it requires only a simple conversion kit to operate at pressures between 6,000 and 40,000 psi (414 and 2,800 bar) with flows to 32 gpm (122 lpm).